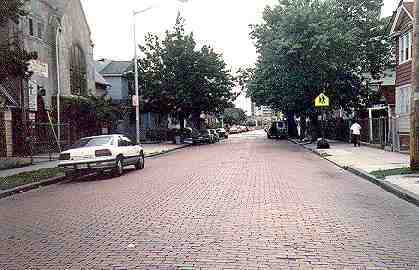 In the heart of Jamaica, on a 4-block stretch of 89th Avenue between Jamaica Avenue and Sutphin Boulevard, there’s some gorgeous original red brick pavement that has never been sullied by macadamizing or blacktopping. Though undoubtedly once common, extant remnants of this kind of street pavement are rather rare in New York City. 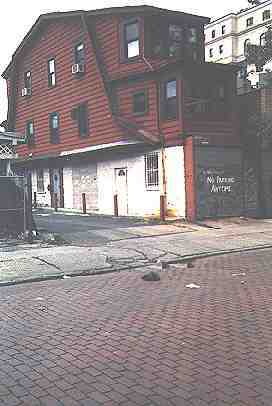 I’ve only found one other sample, on Ridge Court in Bay Ridge, Brooklyn. 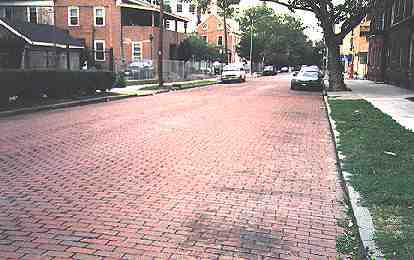 I don’t know, but I feel this kind of flat brick pavement enhances a neighborhood the way the usual blacktopping just can’t do. I sort of prefer the flat bricks over the more common Belgian block arrangement. Here’s a rare example of color coordination between a building and the abutting pavement, both complementing each other. Note how the pedestrian crossing, normally white lines sprayed on the blacktop, is in this case white paint individually applied to each brick in the street. 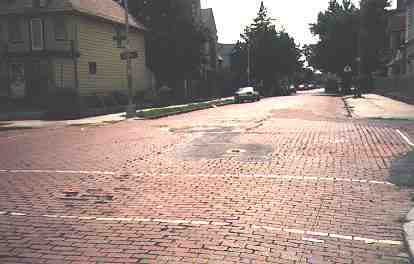 Think of the craft and hard work that went into placing each of these thousands of bricks onto 89th Avenue. 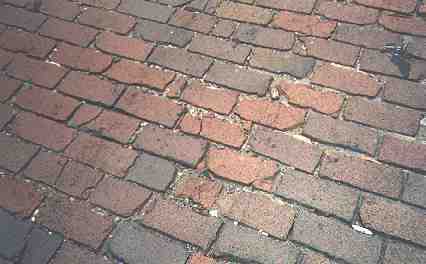 Why emphasize this stretch of brick pavement? Because it’s probably in danger. Looking toawrd 89th Avenue’s junction with Jamaica Avenue. 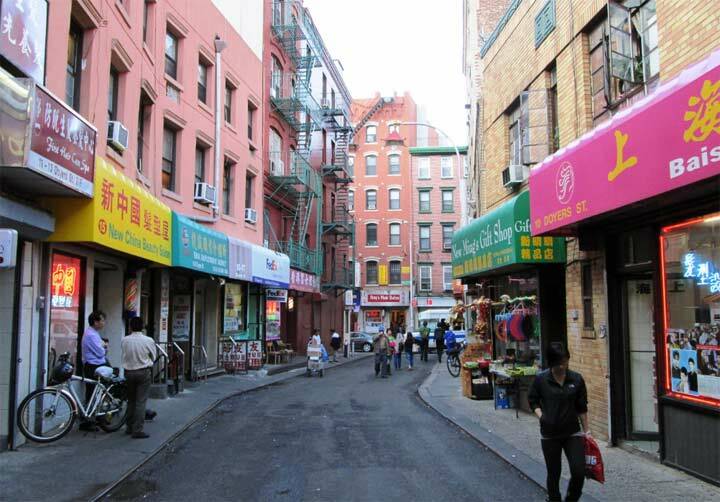 Jamaica Avenue is presently undergoing an extensive reconstruction, with replacement of sewer lines and a complete resetting of sidewaks, etc. The Department of Transportation has undoubtedly taken notice of this 89th Avenue aberration and has, no doubt, marked it for repavement. 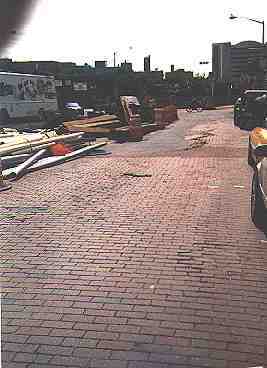 2002: True to my prediction, the red bricks have been asphalted over from Jamaica Avenue to 144th Street, but thankfully, they remain between 144th and Sutphin Blvd.